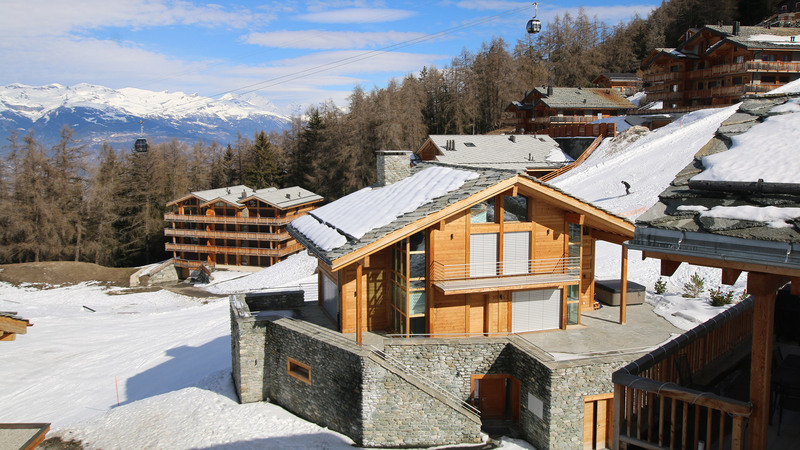 Chalet Pas du Canard is in an ideal position in Veysonnaz, directly on the piste and just a couple of minutes' ski from the lift station and the bars and restaurants on Veysonnaz's main street. 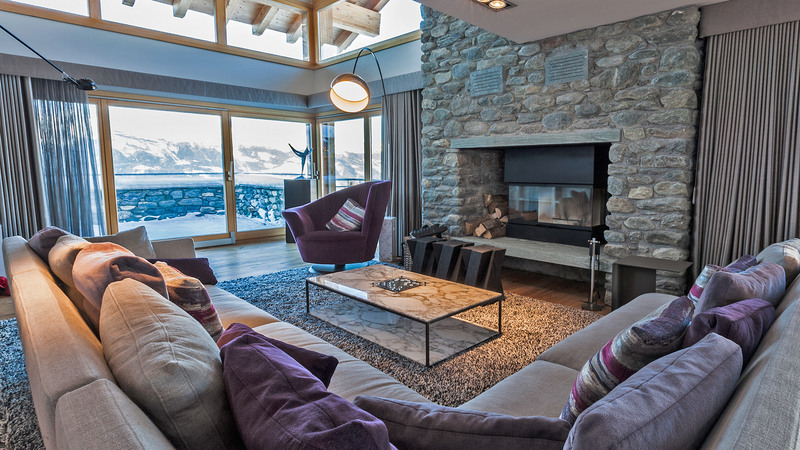 This is a large chalet and it certainly feels it thanks to the clever use of space and the huge windows. 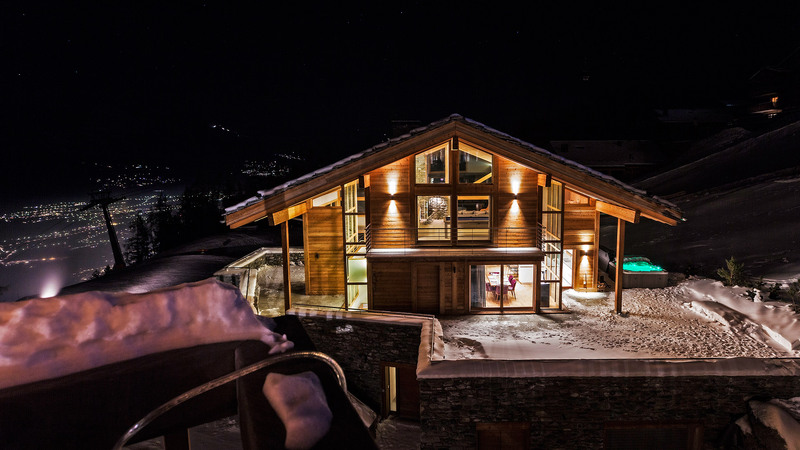 This chalet could be arranged to accomodate 4 or 5 bedrooms, all en suite. 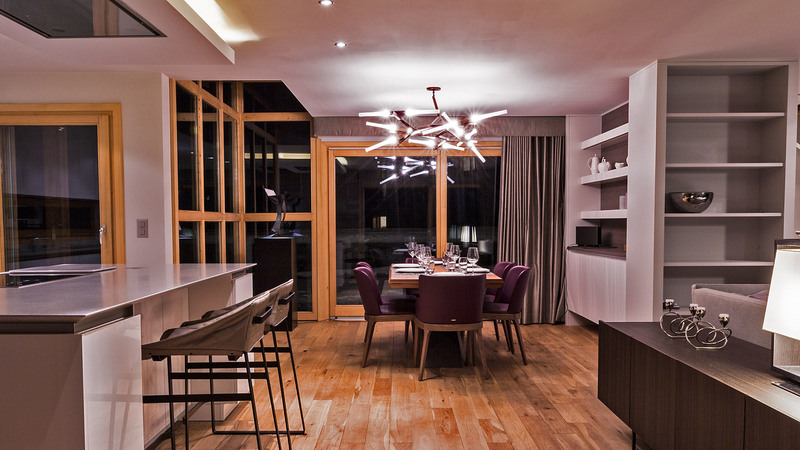 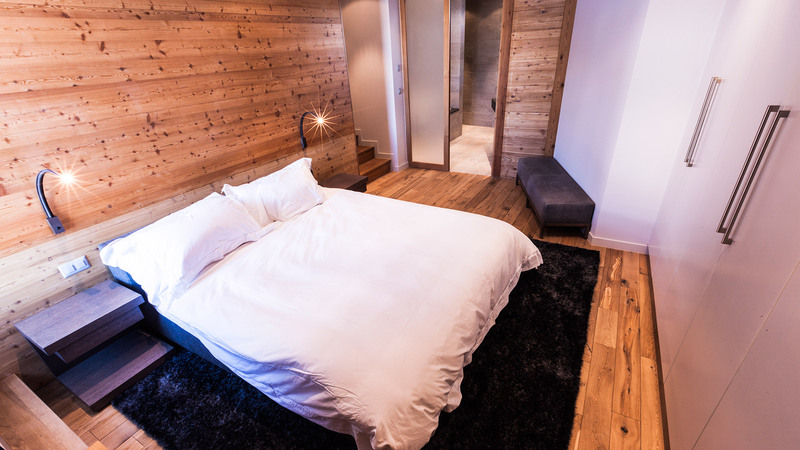 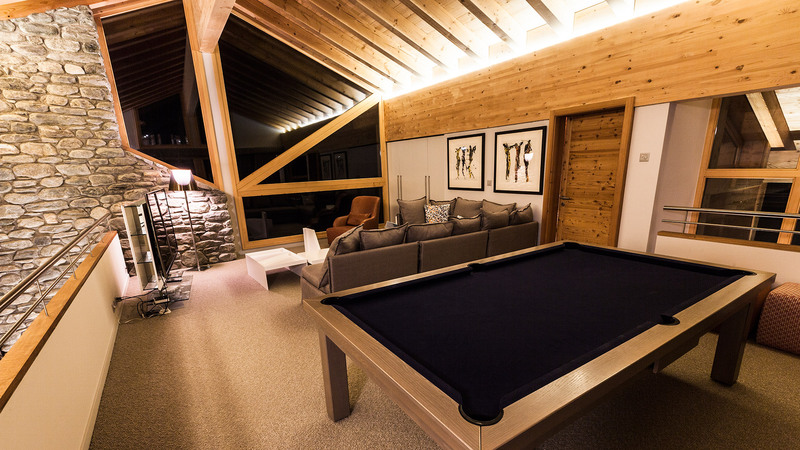 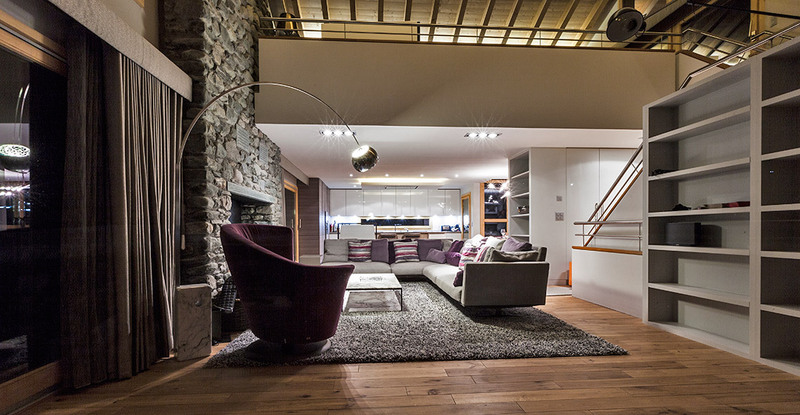 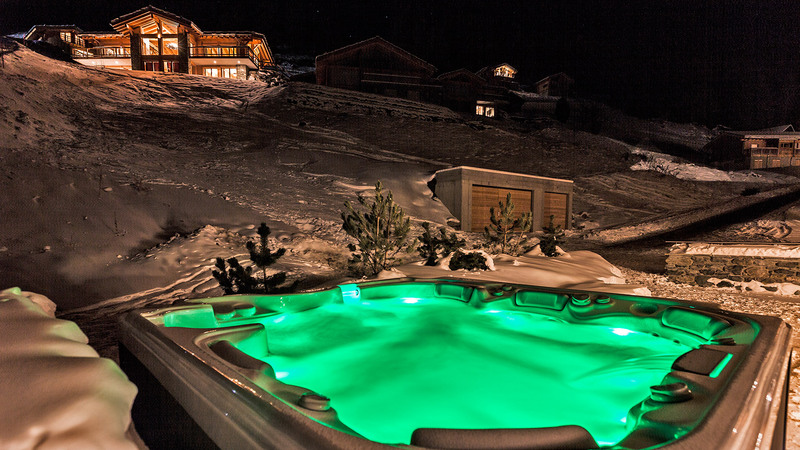 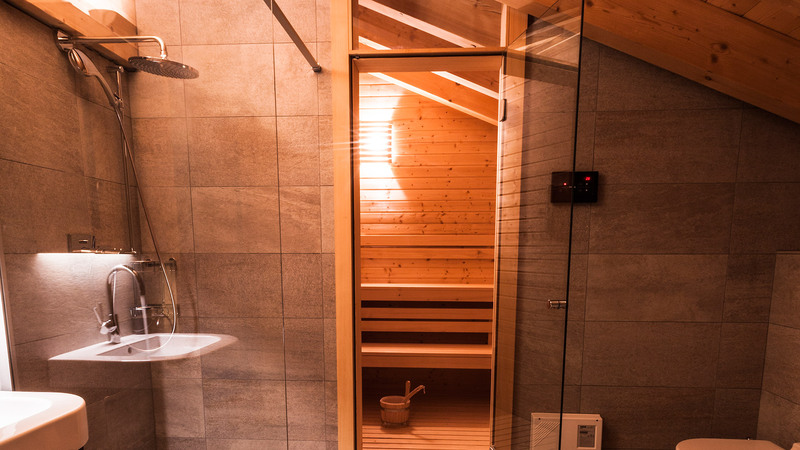 With a sauna upstairs, a Jacuzzi outside, garage parking, a cinema room and a mezzanine large enough for a second living area and pool table, Pas du Canard is an ideal and luxurious family base in the heart of a ski region which boasts over 400km of pisted skiing.